Learning to drive with Gaile was a wonderful experience. She is an exceptionally patient teacher, going over manoeuvres until you have a firm grasp on them, so you have maintained your knowledge. Passing my driving test was a combination of elation and immense relief, I am extremely grateful to Gaile for being such an amazing instructor. I ecstatically want to say that I passed my driving practical test!! This could have never been possible without my instructor, Gaile. She is a fantastic teacher, always supportive, positive and reassuring. She explained things so clearly that it made learning easier and less daunting! Just want to thank her wholeheartedly! I would strongly recommend her. 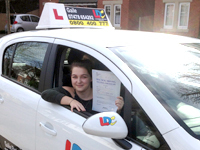 Congratulations Mel passing 1st time. I knew it meant a lot to you & your kiddies passing your driving Test. All your hard work paid off in the end. Well done, so proud of you. When I started to learn to drive with Gaile, I was very nervous because I'd never driven a car. However her patience and reassurance made me feel comfortable in all my lessons. Gaile was very flexible when it came to booking lessons and I looked forward to my lessons every week. Gaile also organised a mock assessment, which I found extremely helpful because it made me feel a lot more ready for my test! 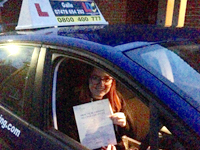 I can't thank Gaile enough for helping me pass first time. 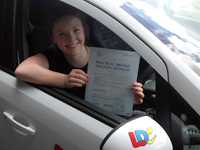 Well done Emily passing your driving Test. It's been a pleasure teaching you to be a safe driver and getting to know you. I'd like to wish you good luck with everything you do. 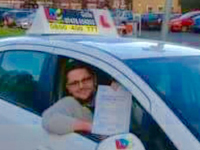 I'd previously had three driving instructors and thought I'd never pass my driving test especially due to having a horrible experience of a test when I was younger. 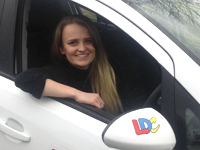 Then I met Gaile and everything changed, her warm and friendly manner was exactly what I needed to build my confidence and know that driving lessons are not just to pass your test but to prepare you for a life of driving. Her calm nature and 'patience pays off approach' has helped me to pass my test which I didn't think would ever be possible! I can't thank her enough for her faith and confidence in my abilities and for not letting me give up. Thank you so much again Gaile I couldn't of done it without you! I loved my driving experience with Gaile, she is kind hearted and got me through a lot of sweat and tears! I had some ups and downs and didn't know if I could do it, but she got me through and never gave up on me! I have now been driving independently for a few months and am loving the freedom! Thank you Lizzie for the lovely card and thoughtful words that said.... Just to say thank you, it's lovely to know someone so kind & thoughtful. It's hard to find the words to say how much it means. 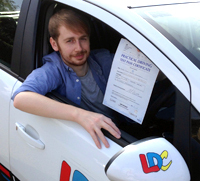 "Thank you so much for getting me through my driving test! Your patience was appreciated. Best wishes, Lizzie"
Congratulations Dom. At the beginning you were very nervous & often doubted yourself if you would ever drive naturally. I encouraged you to relax & persevere learning. It paid off in the end. Well done. Learning to drive was one of the best things I have done! The amount of freedom driving gives you is like opening a whole new world. 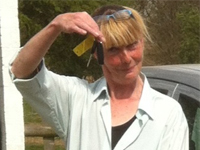 I wouldn't have got this experience without Gaile, she is a great instructor and is extremely patient! She never let me give up even if I couldn't parallel park to save my life! Her lessons were always fun and relaxed! Thank you Gaile for helping me pass 1st time!☺️ Thank you so much for being the best instructor! I enjoyed my whole experience learning to drive. I was nervous at the beginning and started to feel that driving was more of a chore then a luxury. Gaile made me feel more relaxed and comfortable, due to her patient and calm approach which once again made me start to enjoy driving. I fully recommend any new and nervy learners to Gaile as she is supportive throughout and is a pleasure to learn with. Thanks again Gaile for helping me become a safe and legal driver. 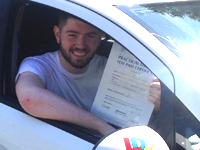 Congratulations Michael passing your Test. When you started to learn to drive with your twin sister it was fun, challenging at times but you never gave up learning something new every lesson. You've been a pleasure to teach. Enjoy the independence of driving. I am very happy for you Lindsey passing your Test. You have achieved so much, grown with more confidence, gained more patience and a greater determination for something you have wanted for such a long time. Well done. Congratulations Becky. You came to me by recommendation. It was a pleasure seeing your confidence grow with each lesson. I admire your tenacity when you met a challenge. Well done. I'd started learning to drive in the past before meeting Gaile but it was only upon beginning lessons with her that I fully understood and enjoyed driving. She is a brilliant instructor who never fails to provide teaching that is constructive, inventive and enjoyable. 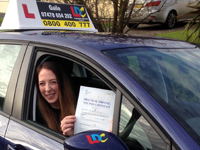 I owe a lot to her for passing first time with only a few minors, so I would fully recommend Gaile to anybody looking for a driving instructor. 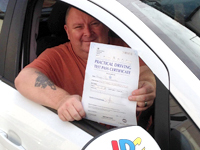 Garry came to me with a positive approach needing to improve his driving skills. We got on well & made good progress every lesson. 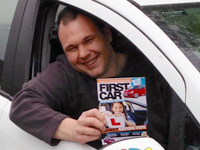 I was pleased for Garry when he passed his driving Test knowing how important it was for him, his job & for his wife. Well done Garry. Thanks Gaile, appreciate all your help getting me through my Test. I enjoyed learning & persevering with lessons. I now feel more confident with my driving. I've learnt how important it is to be aware of my surroundings when driving. I felt GREAT when I passed my test. 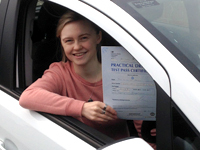 I passed 1st time with Gaile, she was very patient. 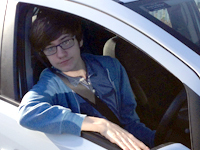 I had never driven a car before my first lesson. I was very nervous at the beginning but she made me feel comfortable in all my lessons. I had a mock test which really helped me to know what I was expecting in my test and it put me at ease. Gaile definitely helped me improve my confidence which is so important for when you pass. I'm so happy I passed 1st time and I wouldn't had done it without Gaile! I pass my test though Gaile. I've been trying for many years but didn't have the confidence to see it all the way though. Since I started learning with Gaile it only took me a few months in all. I'm now a confident driver and I'm enjoying every moment with my new life driving. I recommend Gaile to anyone as I couldn't of done it with out her. I enjoyed the experience learning to drive with Gaile. From the start, I felt at ease in the car with Gaile. Whilst I was always improving, if I ever made a mistake she always encouraged me to try again and never put me down which boosted my confidence behind the wheel. That helped me to pass first time. 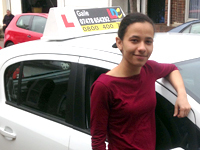 I always looked forward to my driving lessons because of how comfortable I felt with Gaile, and how much I enjoyed & improved every lesson. I really enjoyed learning to drive with Gaile. Gaile had so much patience, even when we were having to go round hundreds of roundabouts! The lessons were well structured with a good amount of theory and practice. I would recommend Gaile to anyone who is prepared to work hard to pass first time! 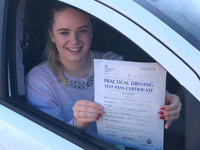 Holly you put a lot of effort in your driving lessons with regular weekly lessons. I always believed in you, you achieved a high standard of driving with less than 20 hours. 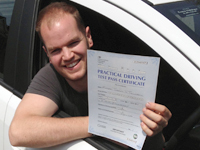 When you relaxed into your driving you soon become a natural driver handling difficult situations with ease. Well done Holly. 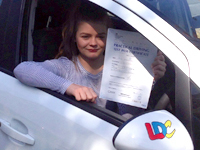 All your hard work paid off that helped you to pass 1st time. Enjoy celebrating. 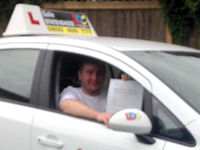 Saul contacted me explaining he had a Test coming up without a driving instructor due to unforeseen circumstances, causing him a big dilemma. 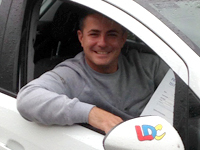 It's not often I hear of a driving instructor breaking their foot, I knew help was needed big-time for Saul. You were a pleasure to teach, I was happy for you seeing the "sigh of relief" with a big smile on your face when you said "I've passed." 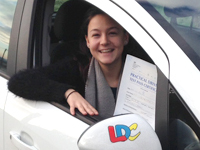 Good luck driving, enjoy the freedom of independence and good luck completing all your qualifications to be a skiing instructor. I only got to have 7 hours lessons with Gaile before my test as I had to find a new instructor at the last minute. She was incredibly calm and collected and helped me get used to a completely different car to what I was used in in time so I could pass first time! She was brilliant at a time when I was stressing out to insane levels and helped me get to the end goal of passing. Thank you so much. 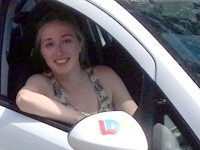 Learning to drive with Gaile was great as she really makes an effort to get to know you so she can help you improve your driving and also your confidence. 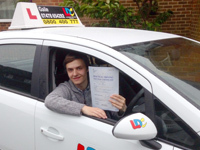 This is really important because after passing your test you need to have the confidence to drive on your own, to drive on new roads and to visit new places. Within 3 days of passing my test I had to drive to Exeter to visit a university and didn’t have any problems thanks to Gaile's great instructing. 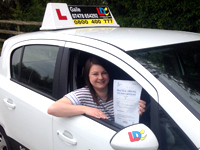 I would defiantly recommend Gaile and would like to thank her for helping me pass first time. Being an 'older' learner, I had plenty of nerves when starting lessons. However, with Gaile, her calm demeanour, she soon put me at ease and I felt it made a difference to help me get the best out of every lesson. I particularly liked how at the end of each lesson Gaile noted down what areas we needed to focus on in our next session, so we could maximise our time. I'm so delighted to have passed my test. 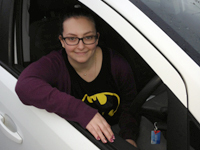 I started to learn to drive with Gaile, I was very nervous but after a while she made me feel comfortable & confident. After a few lessons Gaile soon realised I loved going fast on open roads. I struggled with left reverse manoeuvre but I achieved it in the end. 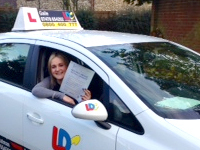 Thank you Gaile for helping me pass 1st time! Can't wait to tell my twin brother that I've passed before him! Now going to celebrate! 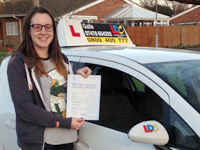 After having several lessons with Gaile I felt I had improved a lot on the road along with my confidence... Having a Mock Assessment before my Test was great, I felt it put me at ease before my Test, it helped me to pass first time. Thank you Gaile for all your time and effort. 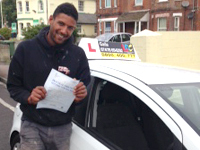 Arthur, it's been a pleasure teaching you driving lessons. 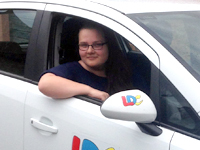 It's lovely seeing you enjoy your driving lessons, you have always showed me a positive approach to every challenge controlling the car. 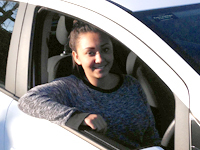 Thank you for recommending others wanting driving lessons with me. Happy days "safe driving" on the road. 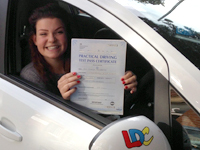 Well done passing your Test Holly. You came to me with nerves and wasn't happy handling roundabouts but I am pleased to say you never gave up, it's paid off in the end. You have become a better driver and can handle roundabouts without a problem. Thank you so much, you have been an amazing instructor. 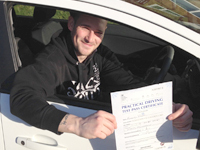 Well done Ben passing with only 3 driving faults. It was a pleasure teaching you to drive. 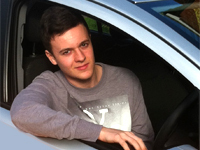 I have now had 4 lessons driving, and what an experience it has been. The most enjoyable moment is learning a new skill plus the speed of the car. I have achieved so much in the four lessons I have had, like the push, pull method with steering, hazard drill, and gears. 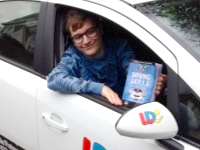 None of this wouldn't have been possible without the LDC workbook because it has given me a clear idea what I am doing also shows me how to do it, so from the moment I sit in the car, I have a clear picture on what to do. Finally on my 1st lesson; I was excited to drive but when I got into the car, I got anxious and worried, so I found it hard especially the push pull method. Now 3 lessons down the line, I am finding driving to be a second language, simple and fun. Finally this progress would not have been possible the LDC workbook. 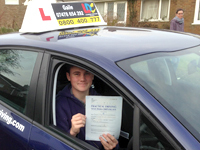 Well done Sam passing 1st time. It's been a joy teaching you to drive. When you came to me you was nervous as well as keen as "mustard". 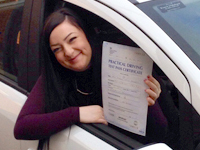 When you relaxed, your driving soon became as natural as second nature & your confidence grew. 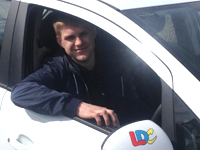 It's a pleasure knowing your style of driving has changed from a boy racer to a more mature driver. 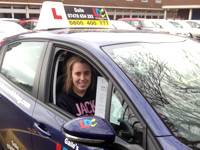 We'll done Ellie passing 1st time. You had concerns with roundabouts when you started lessons with me. It lovely to see you have grown with confidence approaching roundabouts. I have to keep telling myself I'm a qualified driver ahah. 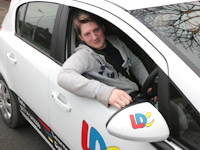 Seriously my overall driving experience has been amazing using the unique LDC skills Workbook, I've enjoyed every minute of it and I'm so glad I passed first time with only 5 minors. Thank you Gaile. 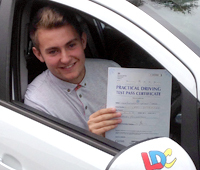 Well done Alex passing 1st time. 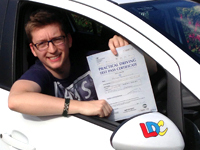 Job complete less than 7 hours driving lessons! 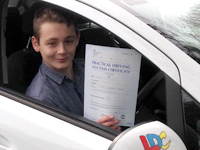 A pleasure to teach, a natural driver, amazing quick learner. You delivered a calm consistent attitude for driving that made it possible for me to get you ready to a high test standard. 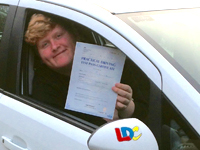 I passed my driving Test & drove to work that evening, that made me feel really happy with myself. 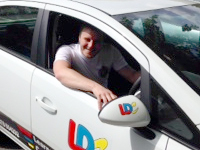 I really enjoyed my driving lessons especially driving up steep hills for the first time. I really enjoyed doing the manoeuvres & learnt how to do an emergency stop. I felt more confident & control dealing with lots of traffic in the rush hour. Thank you Gaile for everything helping me pass my Test. I took lessons a few years ago with another instructor which wasn't successful. I was nervous about starting lessons again but Gaile gave me the confidence I needed to succeed. I quickly found my feet and was driving better than before. After a few lessons I took my test and passed first time! I am so pleased I now have so much freedom, I couldn't have done it without Gaile's help. I would definitely recommend Gaile to anyone thinking of learning especially if they are nervous. 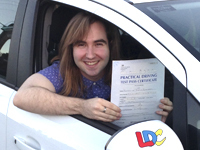 Gaile is a fantastic driving instructor and really made learning to drive not so daunting and stressful. 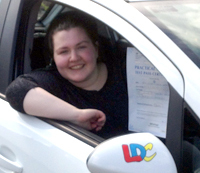 Her patience and ability to explain things clearly were key factors in helping me pass 1st time - and with just 1 minor! She has a great personality and is very easy going so I felt at ease straight away. Would recommend her to any of my family and friends that were learning to drive. Thanks again Gaile. 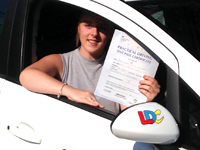 Well done Ashley passing 1st time. 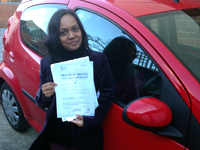 Well done Sasi passing your driving Test. Keep smiling happy days ahead. driving on your own. I passed my Test in a short amount of time. 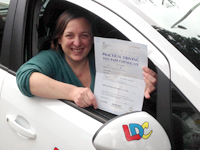 I never got flustered or overwhelmed in lessons, enjoyed every minute and felt completely prepared for everyday driving. 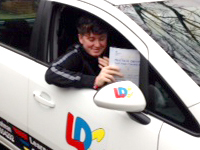 Thank you Gaile for helping me pass 1st time. 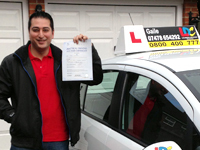 Congratulations and well done Vikram passing your Test. 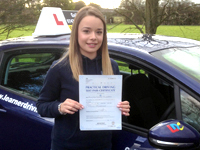 Well done Toni passing your Driving Test 1st time. 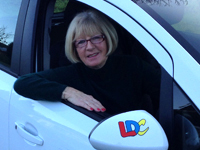 In my first two lessons with LDC my confidence with driving has risen significantly and I am able to comfortably perform actions such as a controlled stop and changing gears naturally. I'm reading the LDC workbook, I will be looking at the DVD's next. When I started with Gaile I had already had an unsuccessful attempt at a driving test. Gaile took me under her wing and helped bring my confidence back up quickly and patiently. Her firm and calm manner during our lessons really helped me focus and be determined to improve, and after a few intense lessons I took my second test and passed. 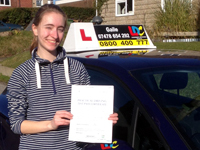 I think that learning with Gaile is the reason I was so successful in my second test, she helped me develop the knowledge and confidence I was missing, and our lessons enabled me to establish skills in getting out of difficult and unexpected situations when driving. I now feel like a good and safe driver, thank you so much for helping me develop my confidence and pass my test! 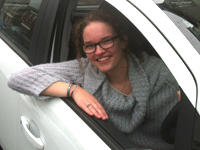 If you feel at all apprehensive about learning to drive, then Gaile is the instructor for you! When I found myself in the position of having to learn to drive, rather than wanting to, I needed someone who would understand my lack of confidence and be patient with me. 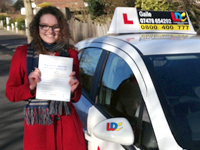 Gaile was more than that - as well as one of the most patient people I know, she's friendly, flexible and she instills the passion she has for wanting to teach you to drive properly and safely. Even if you think you can't do something, you will find you can as she guides you through it - often several times, in my case! She will give you tips on how to remember those things that you struggle with so they become second nature, always encouraging you and giving you confidence. 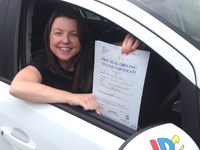 I can't thank her enough for enabling me to pass my driving test - and making my life so much easier! Now passed my driving test. Best thing about learning to drive with Gaile is that she takes the time to not only build a working relationship with you, but also understands your needs. She adapts to suit your learning style. She will work with you to polish any areas you need improving after your Mock Test. Gaile will always encourage you to practise every opportunity you can outside lessons making it all come together. She is very friendly and equally firm when you need pushing. 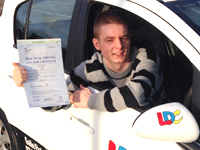 Passing my driving test 1st time with only 1 minor was a real team effort. Thanks Gaile! Learning with Gaile has given me the confidence to drive on my own to Birmingham and back for a trip. Her patience and excellent care for me was a huge help since I did not feel confident at the start of my lessons. 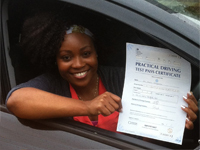 However, she pushed me to do my best, and get me out of my comfort zone, and it all paid off, since I passed first time! I felt amazing knowing I passed, the world of freedom had opened up my life and I could now travel anywhere I wanted to! The biggest thing I learnt when driving with you is that you have to be confidence to be able to succeed. Like with the parallel parking I was so bad until you have me Confidence I could do it. And the thing I enjoyed the most was that every lesson was different and I always felt so comfortable when around you and in a car with you. Also you never let me down with lesson!! You are a fun teacher. Explain serious situations clearly, with slight humour. Remembered your instriction of roundabouts on my Test day it saved my day thanks.